“There was the Maratha agitation in Maharashtra, the massive unrest across the country over the SC/ST judgment, the controversy over ‘Padmaavat’ where the nose of the actress was threatened to be cut off...what happened to the protesters? Nothing! Such episodes of such rioting transpire every other day.Are we going to allow this to happen?”, said the AG. Expressing deep concern over the failure of police machinery to stop acts of mob violence by outfits and fringe elements, especially in the context of recent attack by Kanwariyas in Delhi and UP, the Attorney General called for intervention by the Court to fix responsibility. Pointing out instances like Padmavat agitation, SC/ST bandh, Marathas strike, and the latest act of hooliganism by Kanwariyas in Delhi and UP, the Attorney General K.K Venugopal submitted that police had failed to control mob violence. When Chief Justice Dipak Misra sought his suggestions, the AG submitted, “there is a need to fix responsibility on someone or the other...the DDA has done this to check illegal constructions”. He urged the Supreme Court to fix direct responsibility on the Superintendent of Police for such instances of violence and vandalism. Justice Chandrachud also expressed his concern, by pointing out that one side of National Highway in Allahabad has been cordoned off due to Kanwariyas. The AG also pointed out that the offences under Section 153A(hate speech) and 506(criminal intimidation) of the Indian Penal Code should have been registered against those who commit and instigate violent acts disrupting public order in the name of protests. The Court was considering a PIL filed by Kodungallur Film Society, which sought framing of guidelines to deter largescale acts of violence and hooliganism carried out by fundamentalist outfits and fringe elements in the name of public protests. The main prayer in the PIL was to direct the Central and State Governments to strictly implement the guidelines framed by the Court in the case In Re Destruction of Public and Private Properties v Govt of AP (2009) 5 SCC 212. When this PIL filed in the background of Karni Sena agitation against Padmavat film came for consideration, the AG highlighted the recent acts of violence unleashed by group of persons undertaking the Kanwariya yathra. Earlier this week, a group of Kanwariyas had created shock by publicly vandalising a car at a busy junction in Delhi in broad day light. Later, they were reported to have attacked police and destroyed a police vehicle in UP. Appearing for the the Film Society, Advocate P V Dinesh submitted that international media like BBC had given wide coverage to hooliganism unleashed by Karni Sena protesters to ban Padmavati, resulting in tarnishing of India's image before global community. “I cannot say that these are religious people as religion-oriented persons would not engage in such activities. It will result in anarchy and anger against the judiciary that there is no law and order in this country. A message needs to be sent across”, Dinesh submitted. 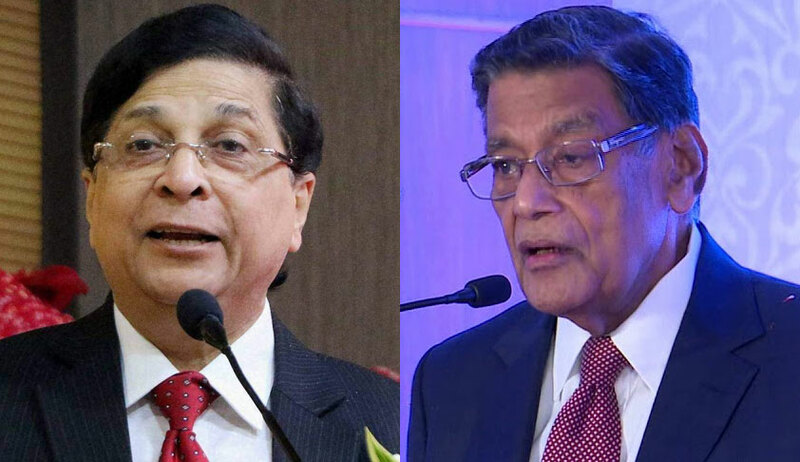 Chief Justice Dipak Misra said that the Court shared the anxiety and concern expressed by the AG and the petitioner. CJI highlighted that Section 153A & 506 IPC used the word "whoever" and hence action had to be taken against "whoever" instigating and committing violence, regardless of their religion. Agreeing that the court should lay down guidelines in this behalf instead of waiting for an amendment of the law, the Chief Justice noted that any such directions shall apply to all individuals or religious groups, which engages in such activities. “You cannot touch another’s body part or burn down their house. You are creating a revolt!”, reflected the judge, observing that such destruction of private property also constitutes ‘mischief’ under the IPC. The bench, also comprising Justices D. Y. Chandrachud and A. M. Khanwilkar, reserved its judgment on Friday. The Court also directed AG and P V Dinesh to give their suggestions for guidelines, which could be incorporated in the judgment.